Recently, we have done a lot of talking about our father and the creative endeavors he has underway (seen here and here), but we realized that we have not done a good job of telling his story. 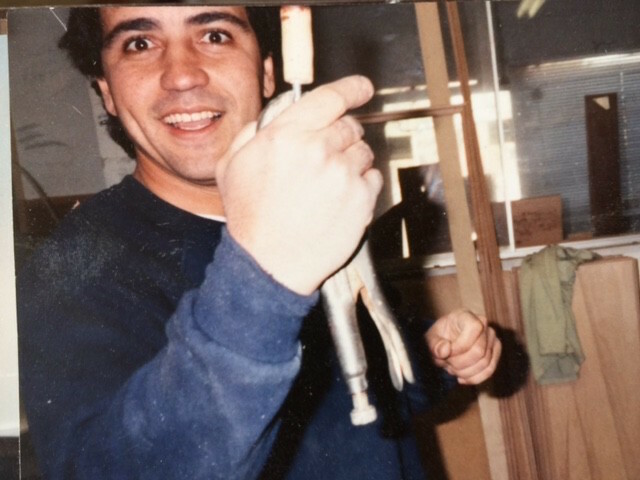 That is why today’s post we have dedicated completely to our dad (Jackie) and a spotlight on his business (Jackie Bitton Fine Woodworking). 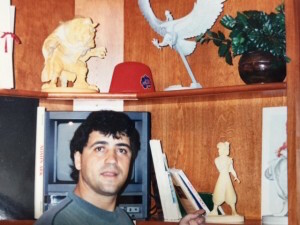 Jackie Bitton moved to America in 1978 from Israel, and pretty soon after started becoming interested in the art of woodworking. 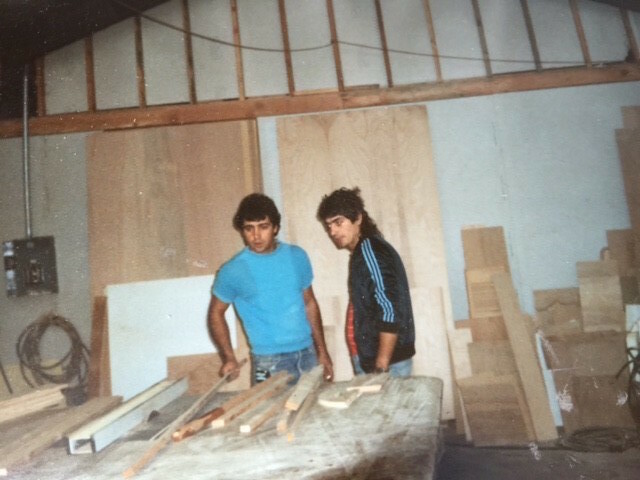 He originally went into business with his brother David (Bitton Brothers Furniture) and they both learned from lots of mentors along the way. When he went off on his own, he grew in his knowledge and mostly self-taught craftsmanship. Growing up, he would always impress us with stories of what he was building for whom, as he went on to work for some very influential people including Drew Barrymore and Glen Keane (Disney artist for The Little Mermaid, Aladdin, etc.). We always loved to go to his shop and see what he was building and create things of our own. Our dad taught us that you can make many things with your hands and a little creativity. Lauren knew when she graduated from the College of Architecture and Environmental Design at ASU, that she eventually wanted to work with our dad. To be able to create together was a major goal for her. However, every time Lauren brought this up, he would encourage her to learn more from the designers she was working for, to push herself to work hard and take it all in. A couple of years ago, when we started Side by Side Design, he finally gave in. It had been a dream of his to work with her as well. 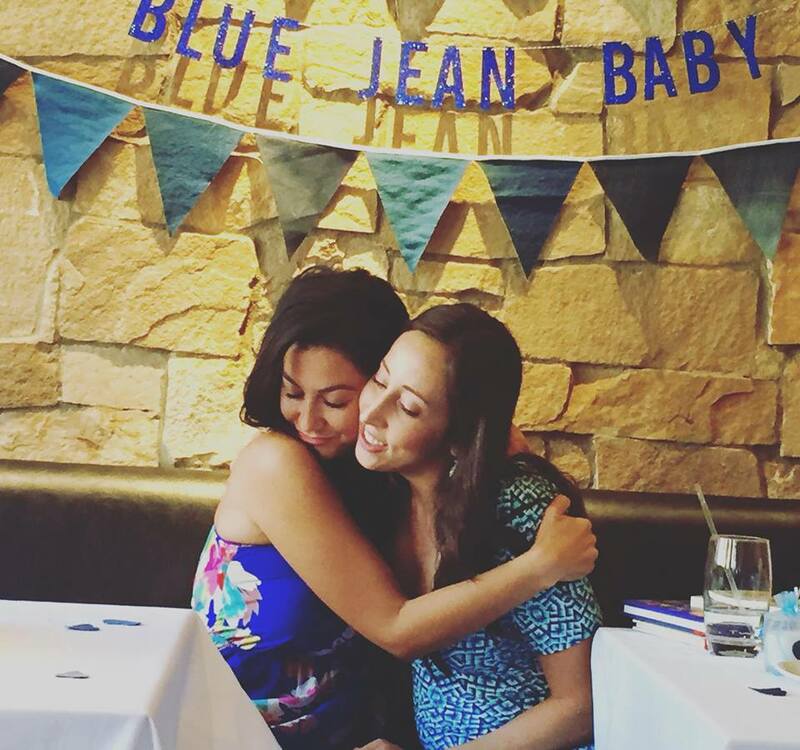 On Monday, we shared some really special news for our family … Lauren is having twins! As a parent of twins himself, our dad could not be happier about this addition to our family. 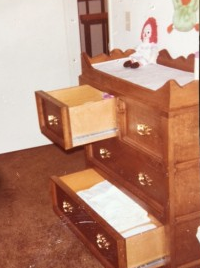 He reminded us how much he loved to spend time with us when we were little and that in fact, the first pieces of furniture he ever made were two identical cribs for us to sleep in each night and a dresser / changing table for our nursery (seen in the above photos). 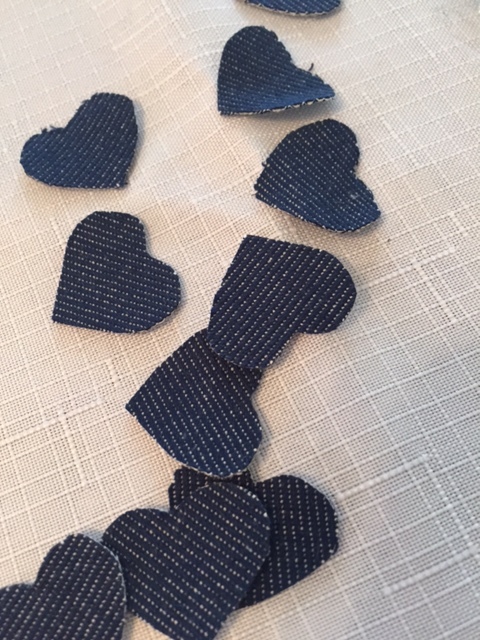 Today, our dad loves to make anything new especially when there is a challenge involved. He is very comfortable with any style of furniture, anything from modern and mid century to the most detailed traditional pieces. He is the type of person who can see any possible complication before he even begins to build. It is because of this that Lauren likes to talk through her projects with him and will absolutely be looking for advice when designing a nursery for her twins. If you are looking for a truly talented custom cabinet and furniture designer / builder, Jackie Bitton is the one for you. We cannot recommend him more highly. Contact us by filling out an inquiry form on our contact page for more information or email him directly at bitton.jackie@gmail.com. 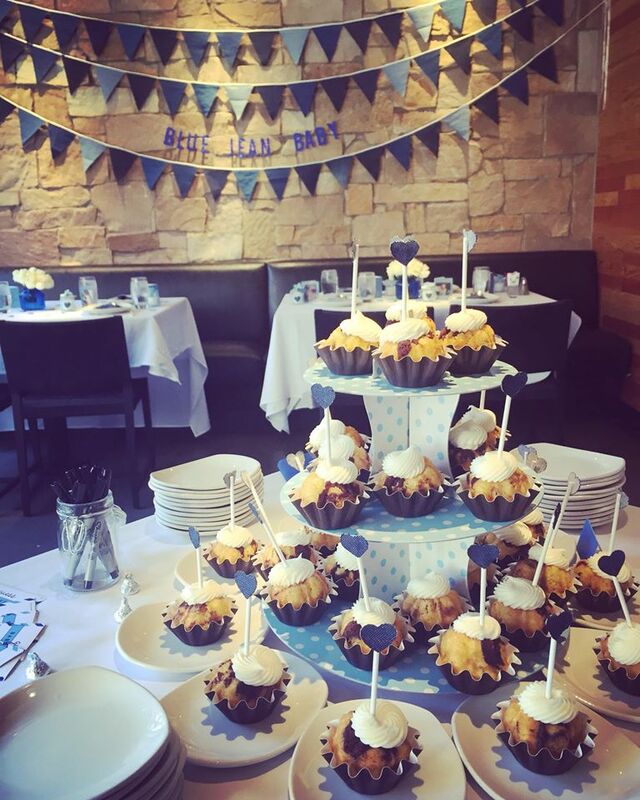 We have a big announcement to make … Lauren and Scott are expecting twins some time before mid-March 2016. They have known for quite a while, but have taken some time to experience all of their raw emotions; from shock, to panic, and finally utter excitement. As you can imagine, it has been kind of a wild ride. Lauren and Scott went to their first appointment excited to confirm that the “baby” was doing alright and were completely caught off guard to find out that there was not just one baby but two. In fact, Lauren is pretty sure that the doctor had to repeat the number two to her several times before it registered. She has been told her whole life that twins skip a generation, and as a twin herself she never thought this was even a possibility. 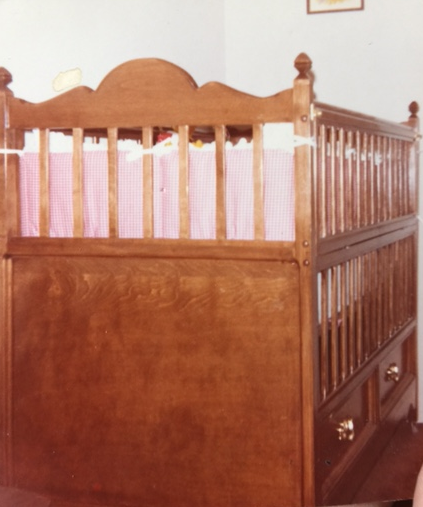 Then panic set in … they would now need two infant car seats, two cribs, and a large double stroller. Her small SUV was sure not going to fit three little ones (and all that they come with) and their two bedroom condo in Brentwood was not going to cut it either. As a planner, Lauren thought she had prepared herself for any possible situation and this definitely was not in the plan. At their second appointment, Lauren and Scott found out that the twins are identical. More panic set in. How do we tell them apart? Are they boys or girls? This makes the pregnancy high risk. What does that all mean? At the third appointment (which now due to the high risk aspect is every two weeks), they found out that they will be having girls … Sorry Scott! Now that all of this has sunk in, Lauren is able to see all of the exciting aspects. 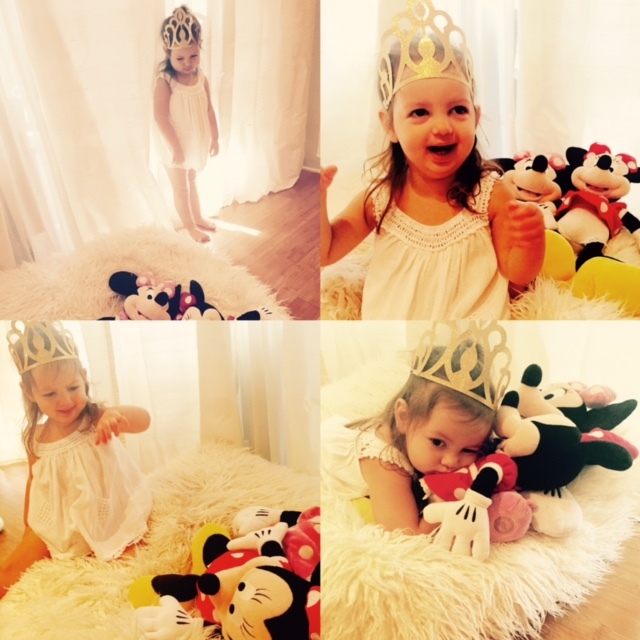 Ava will have two baby sisters to play with, and Lauren will get to see her twin girls grow up with the special bond that she had with her own twin. So there it is … our big announcement! Lauren and Scott are still figuring out all of the details as they go, but for now mom and “babies” are doing great and Ava will soon learn what it’s like to not be an only child. 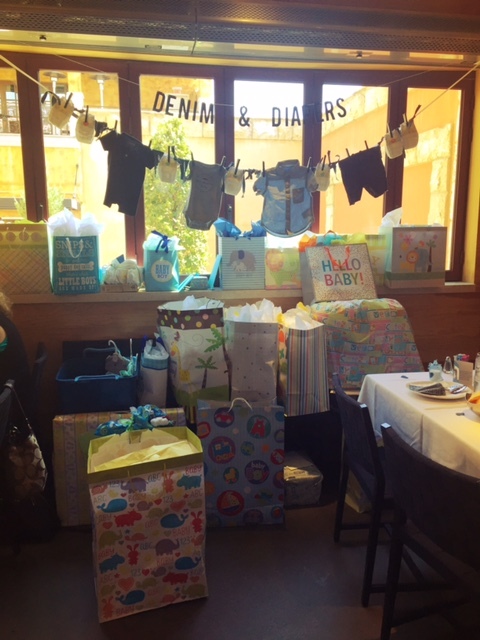 Look forward to many more posts to come with updates on their growth, a baby shower, and lots of mommy tips along the way! We will be sharing more on our social media as well. 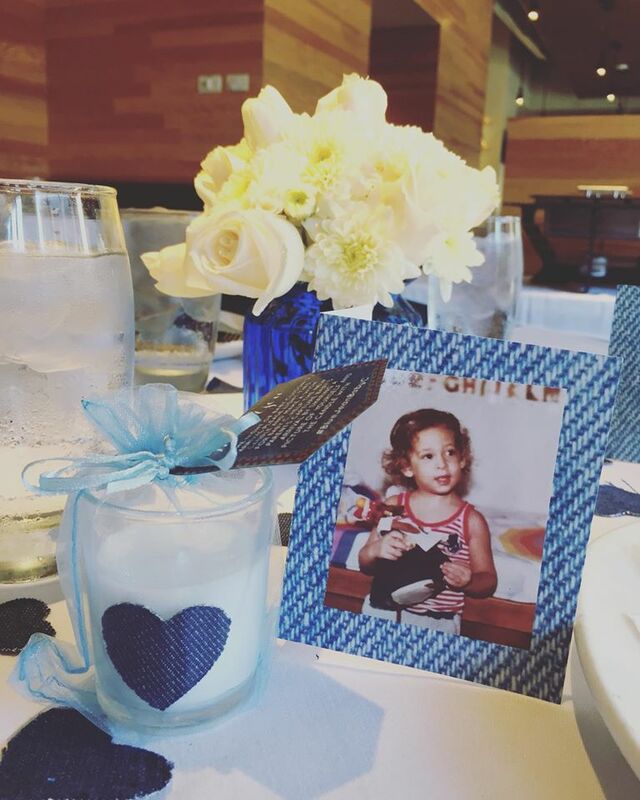 This past weekend, Lauren celebrated the birthday of a very special woman … Scott’s Aunt April. Although the party hostesses had everything under control, Lauren arrived early to lend a helping hand. 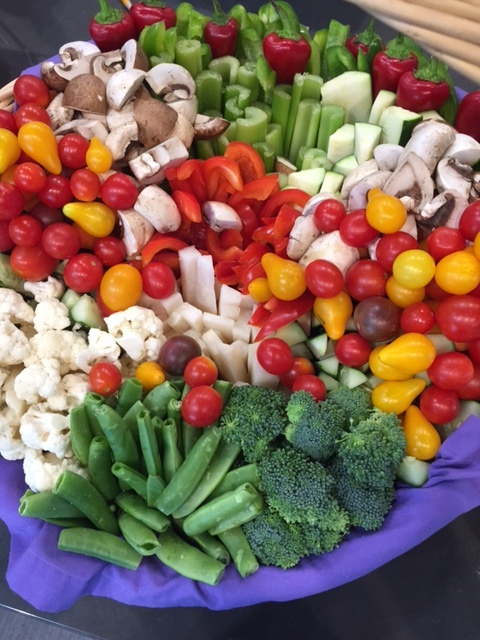 Among the many tasks she was given throughout the day, Lauren created a beautiful veggie basket perfect for Fall. She has prepared some important tips to follow in creating a basket of your own. Start by cutting up all the veggies. Keep consistent with the cutting style of each type (for example, all cucumbers are cut in sticks). Select a variety of vegetables to suit different tastes in a variety of colors. When placing the vegetables in the basket, start with all of the taller variety and keep each grouping together. For a modern feel, color block your vegetables in the same way that you might a flower arrangement. 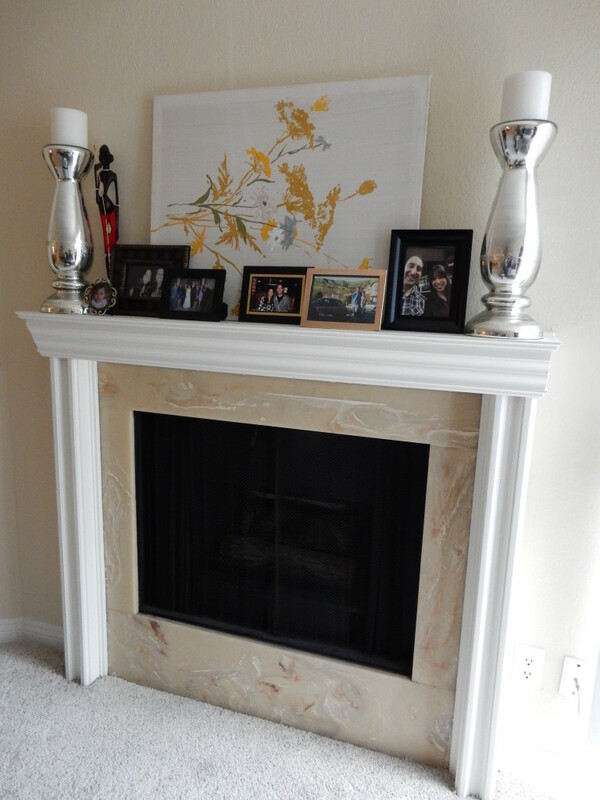 Keep the brighter colors evenly dispersed throughout the display. After arranging the taller veggies (celery, cucumber, jicama, bell pepper, etc. ), fill in the remainder of the spaces with the more full vegetables such as broccoli, cauliflower, and mushrooms. Then top with cherry tomatoes in a variety of colors to give the whole arrangement some much needed life. 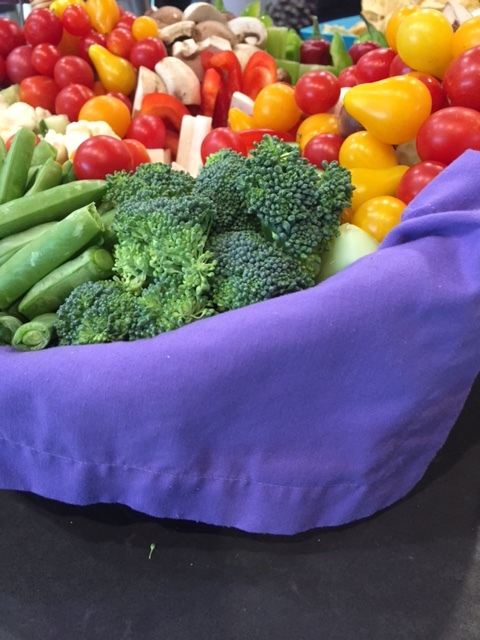 The next time you set out to host a birthday party or just help out in arranging a beautiful veggie basket, we hope you will remember these tips. Your guests will be more than impressed. Have a great weekend from Side by Side Design! One year ago (as seen in our previous post, Apartment Therapy: Parisian Living), Tami moved into her apartment in Sherman Oaks, CA. She was super excited to get out of her mini studio in Brentwood and into a more adult home (with a dishwasher). How ironic is it that now, one year later, her apartment is once again feeling small? That’s what happens when there are not one, but two adults living in a space. In order to stay in this apartment together, Tami and her boyfriend Phil decided there were some small changes that needed to be made. 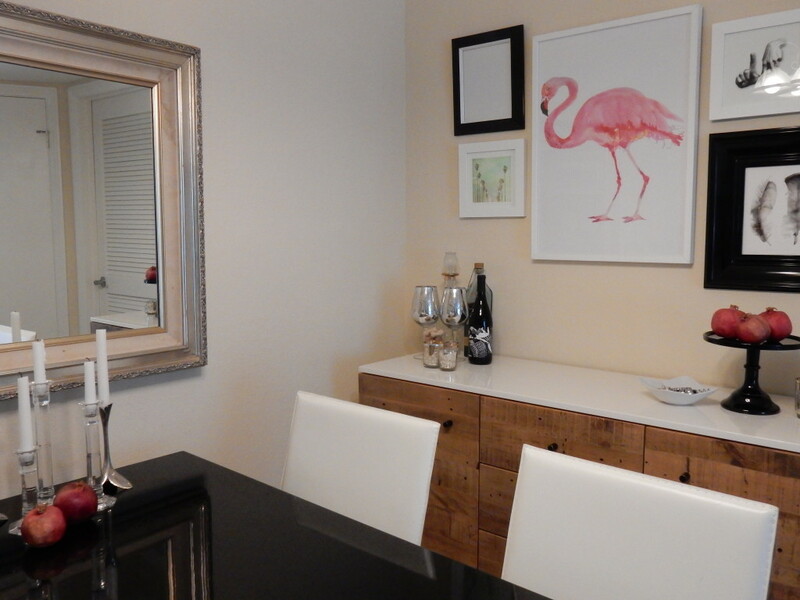 They wanted to optimize their space by adding some new pieces of furniture to help with their lack of storage, and since Tami was living here before Phil, she wanted to add some of his stuff into the mix in order to make him feel at home as well. Check out the revised version of this beautiful apartment and how we worked together (along with Phil) to accomplish all of these tasks. Phil had a chamsa of his own to add to Tami’s existing collection. Hopefully this brings the couple lots of good luck! A soft place to rest after a long day is very important to this busy couple. 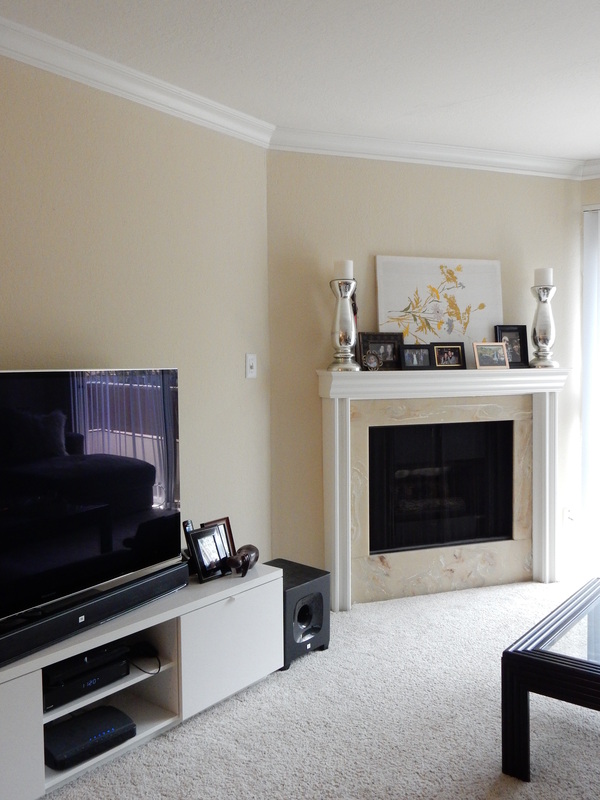 Therefore, Tami’s existing sectional continues to bring comfort in their home. 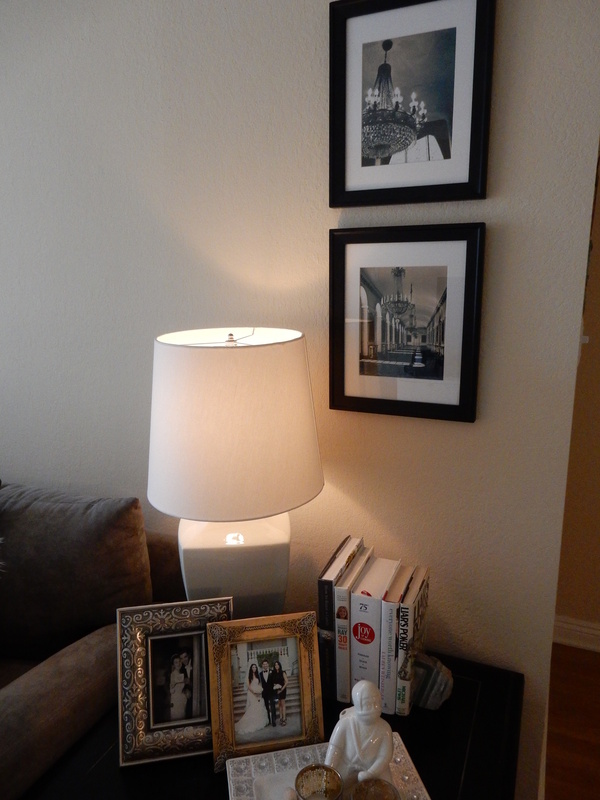 They added a few of Phil’s books and a beautiful set of geode bookends to the existing end table that had belonged to Phil’s beloved “Papa Joe”. 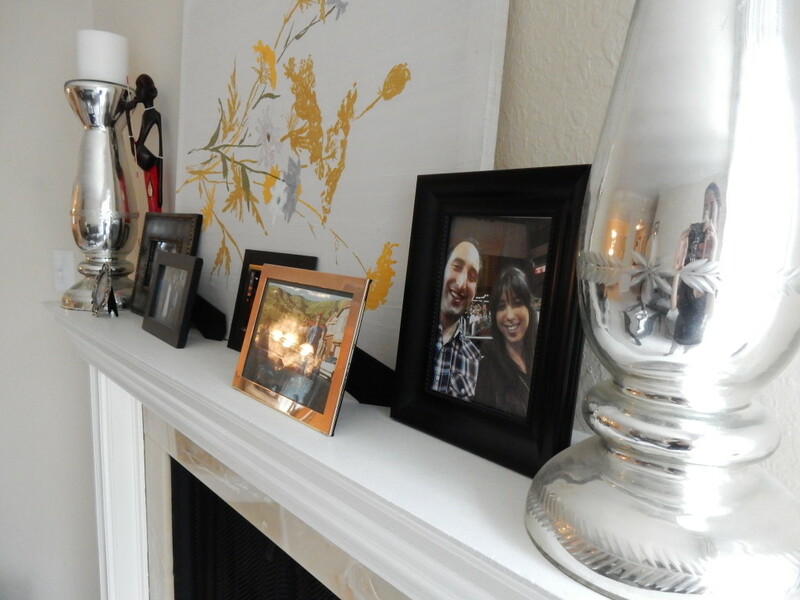 Many more photos were added to the fireplace mantle of the couple and their families. Appliances are very important to this man! You may remember that this wall used to house Tami’s DIY Gallery Wall, but pretty much the moment Phil moved in Tami knew that it needed to be moved. His TV is way bigger and way better than hers. 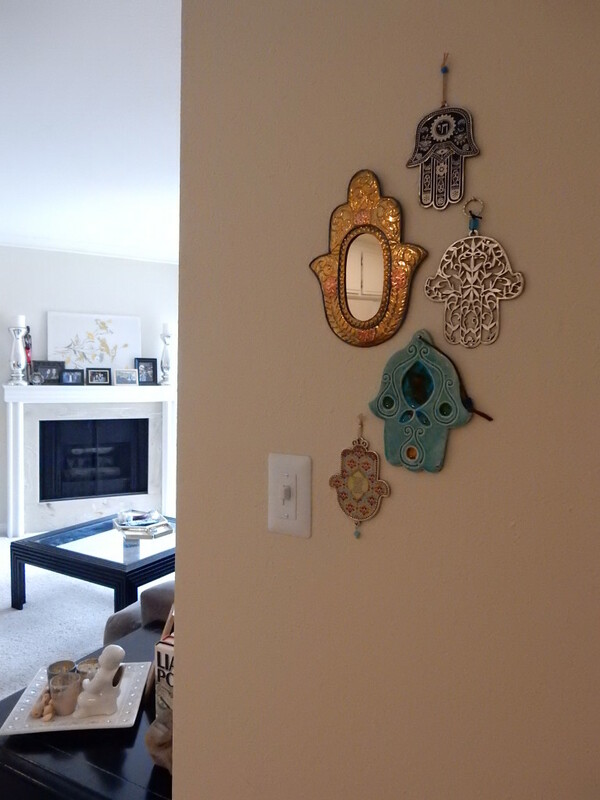 Move over gallery wall … hello big screen TV! 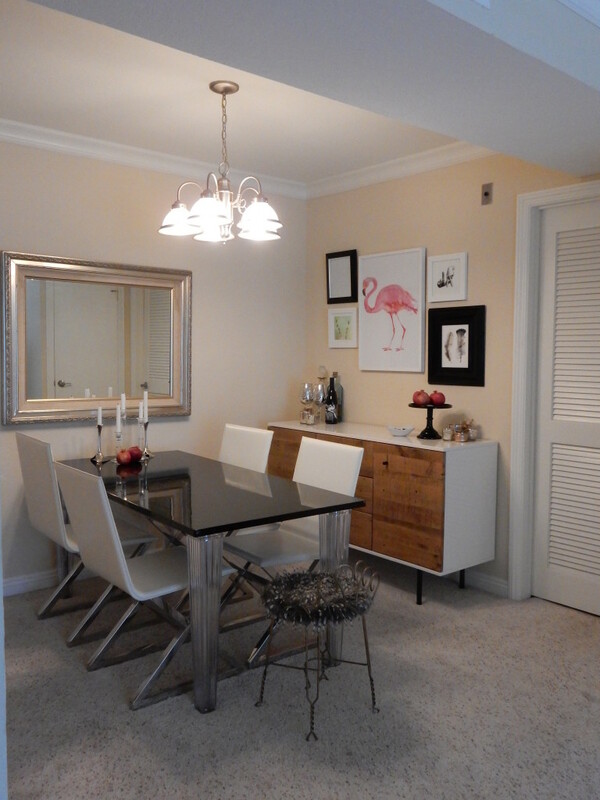 Ever since Tami moved in, she has always loved her dining room set, but has felt like this area of her home was not quite complete … until now! 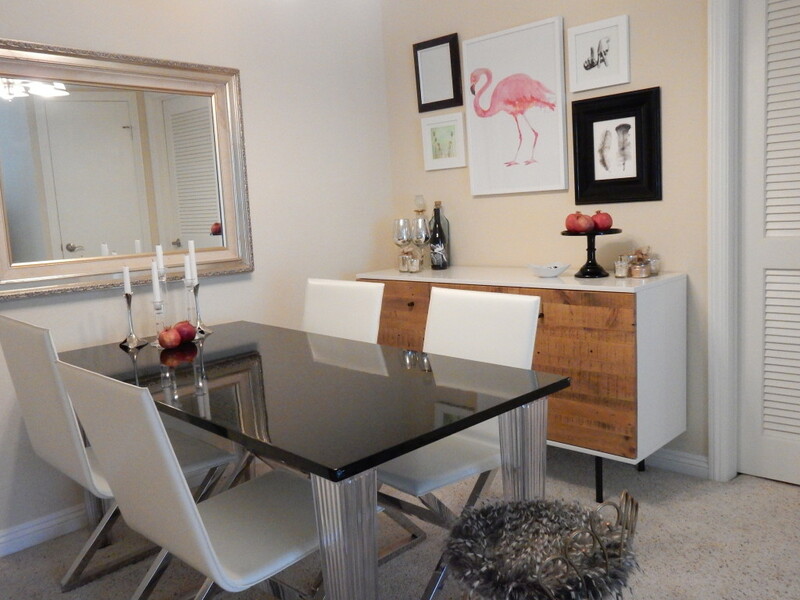 As you can see, this space is now home to Tami’s West Elm flamingo print and several other items from her gallery wall. 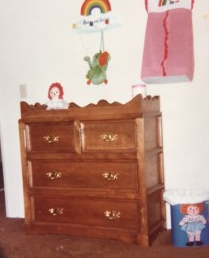 It is also home to Tami and Phil’s new favorite piece of furniture. 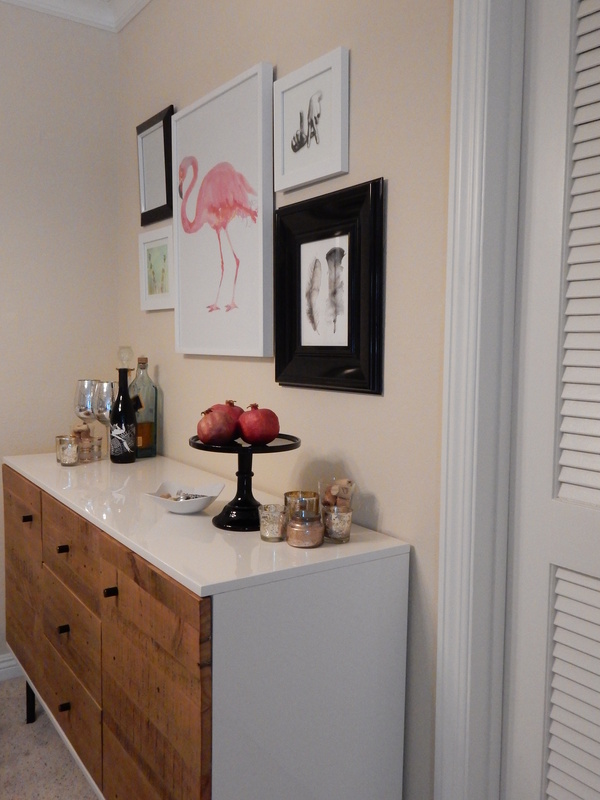 They purchased this white lacquer and reclaimed wood buffet from West Elm and couldn’t be happier! What a great place to store liquor, wine glasses, china, and other fancy kitchen items. 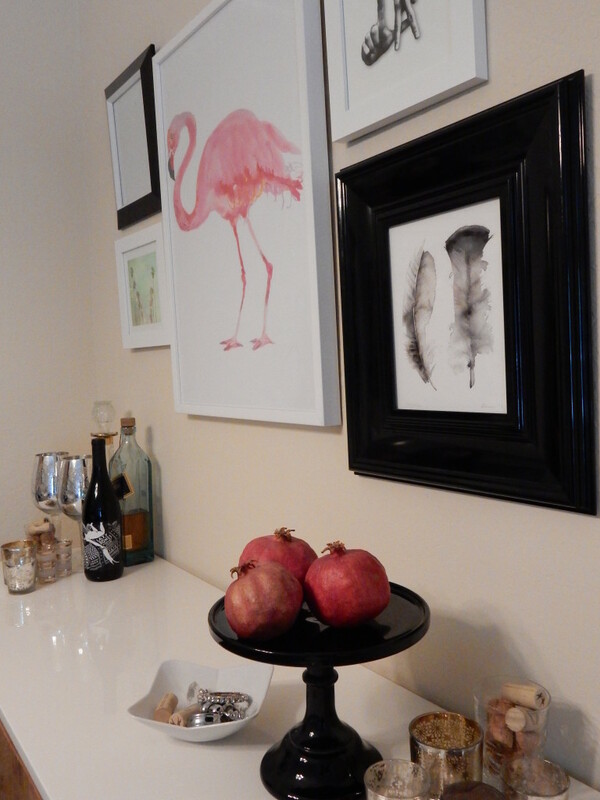 Tami also ditched her makeshift bar cart and used this space as a place to display her beautiful bar accessories. Tami and Phil are still hoping to make a few changes to their bedroom / bathroom area, but for now they are really enjoying their shared space in its revised state. 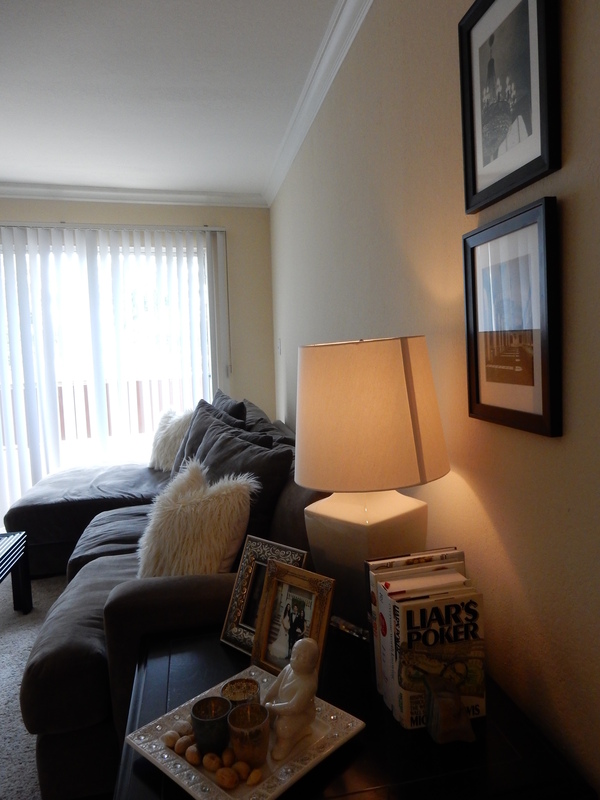 Are you in need of some “Apartment Therapy”? We are your girls! Send us an email at info@sbsdesignla.com and let us know how we can help make your space more functional, less cluttered, and especially fit your personal design aesthetic. You can also fill out a contact inquiry form on our website or comment below. Fifteen years ago (freshman year in college to be exact), Tami met one of her best friends in the whole wide world. Back then, Sarah was spunky, unpredictable, and super loyal … exactly what you look for in a college bestie. Not much has changed since then, well except for the fact that we are all older and wiser (hopefully), but the qualities Tami saw in her best friend Sarah then are the same ones that she still appreciates today. 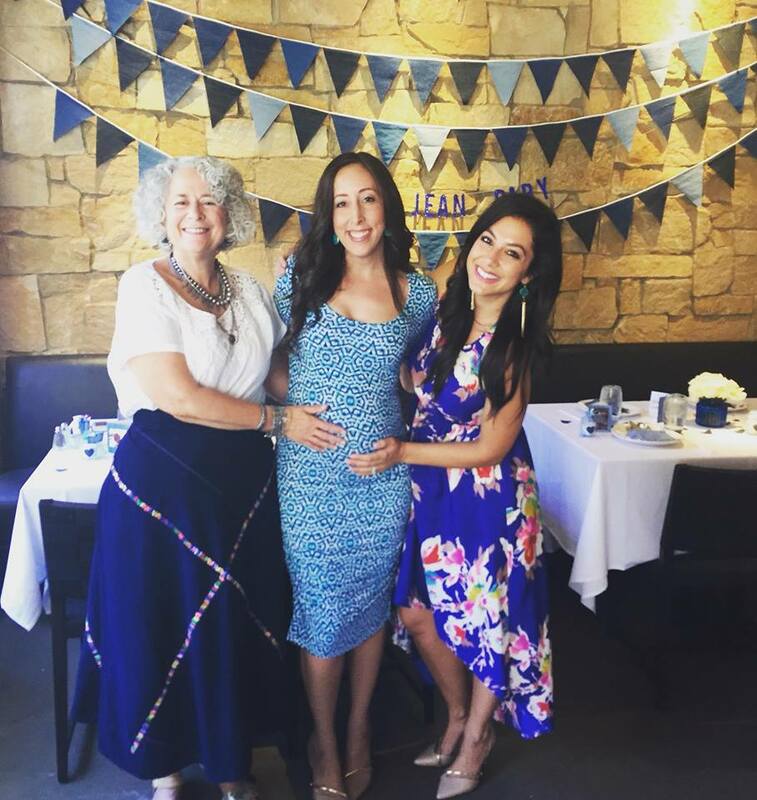 So when Sarah called several months ago to let Tami know that she is becoming a mom, she knew that these amazing qualities would be passed down to her son and that Sarah would be an absolutely fabulous parent! All that was left to do was to shower her with the things a new mom needs. 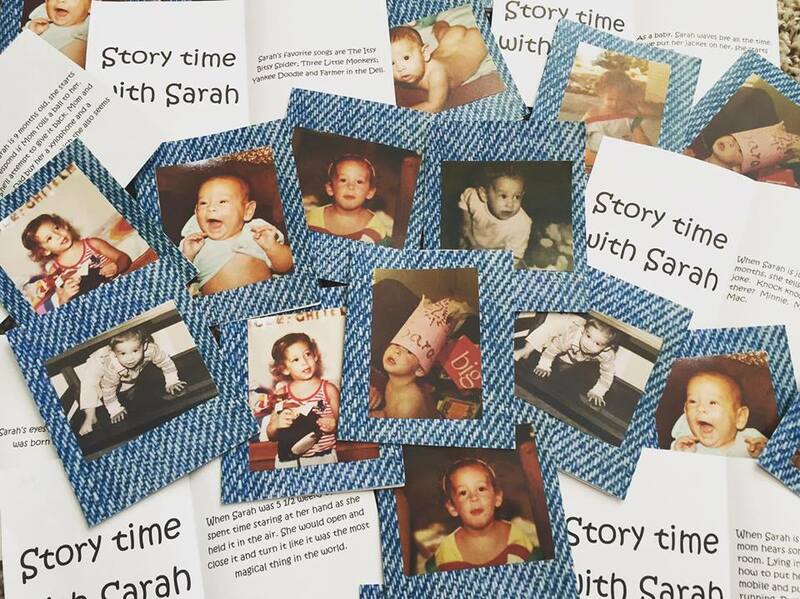 Sarah is super lucky to have a loving sister and friends that she has known since she was a baby herself that couldn’t wait to host her baby shower. 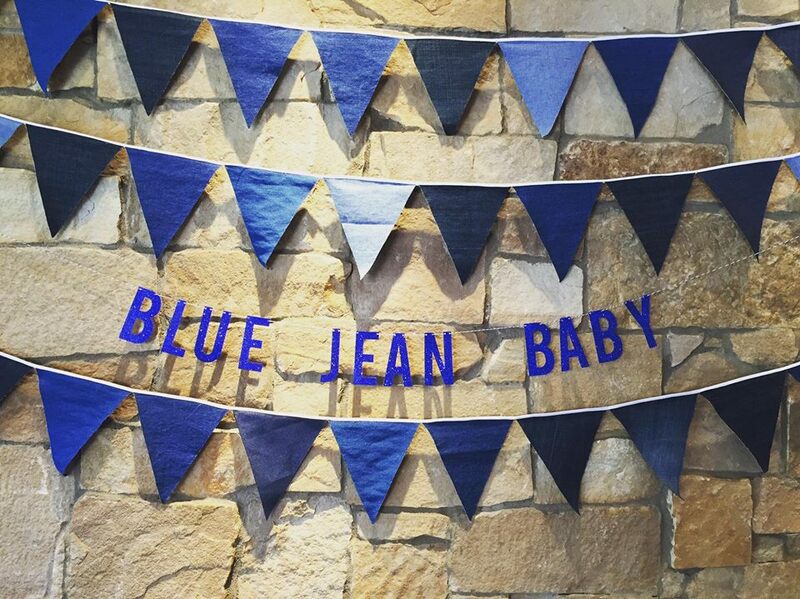 They quickly came up with a theme (“Blue Jean Baby”) and got to work on DIY-ing all of the party decorations themselves. Tami jumped at the opportunity to help as well … as you know, events are kind of her thing! 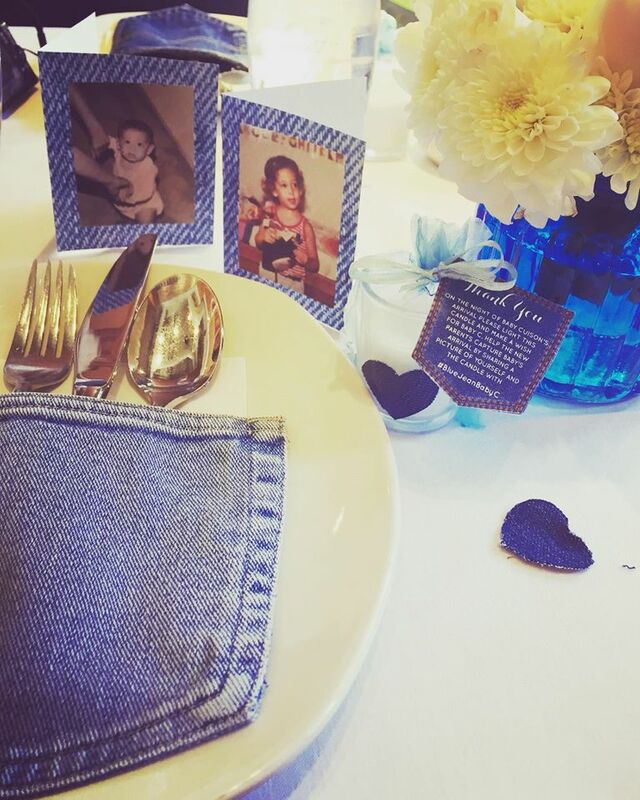 … and many more Blue Jean Baby details! 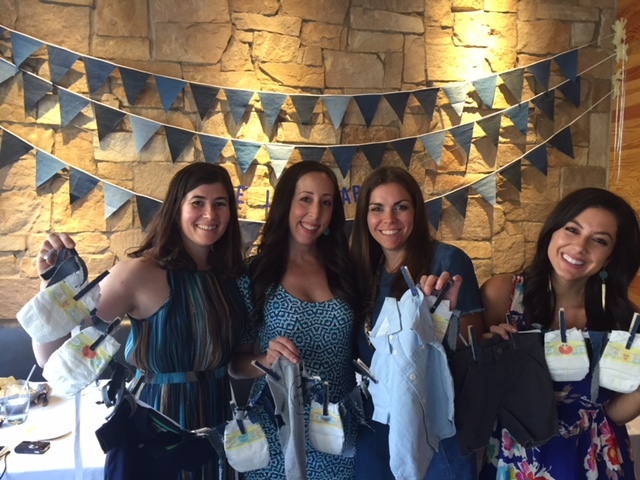 Plus a “Denim + Diapers” Clothesline With Jean Onesies (made by Tami and Lauren of Side by Side Design). 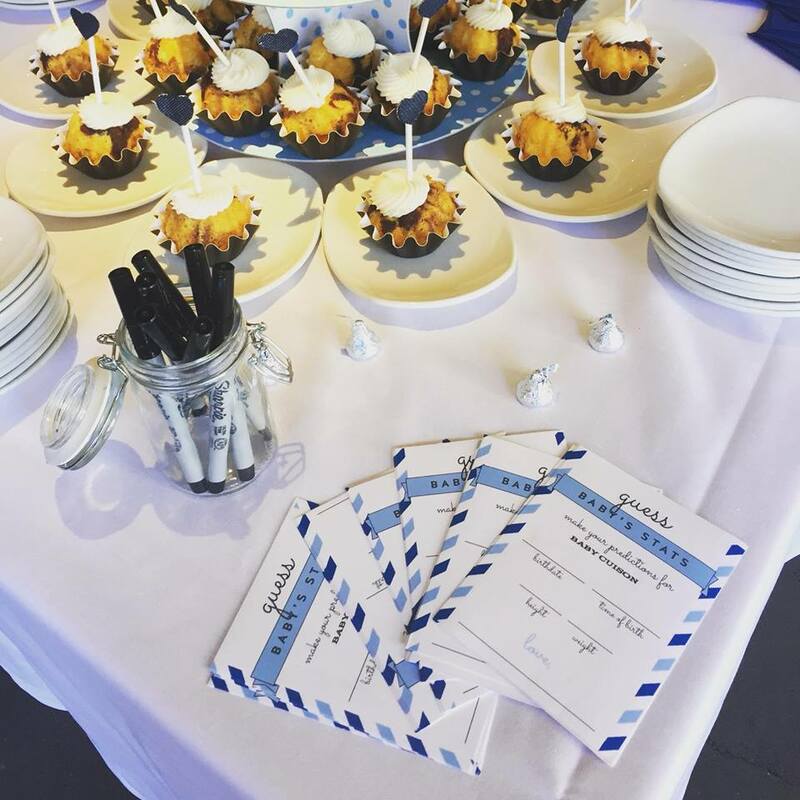 We absolutely love how this event turned out and know that Leigh, Deb, and Debra worked tirelessly to make it happen! 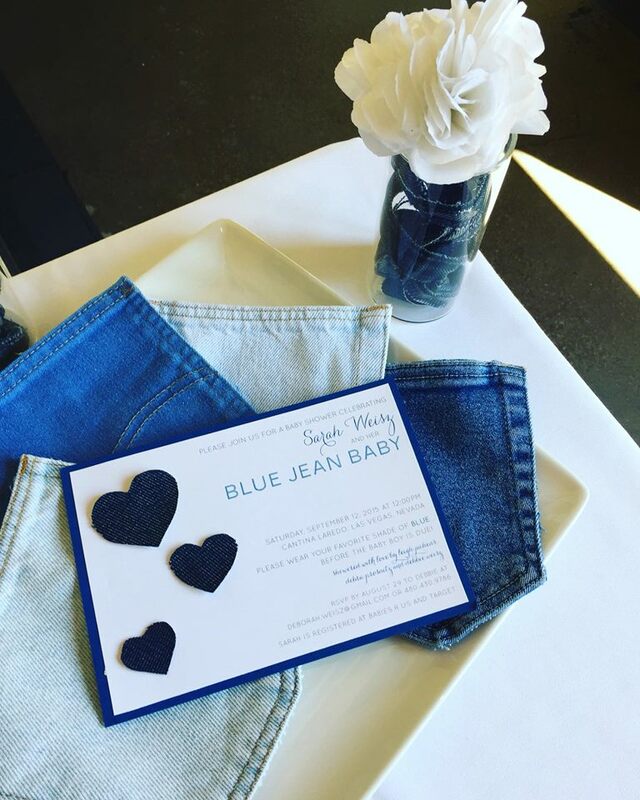 We wish Sarah the best of luck in her last few weeks of pregnancy, and cannot wait to meet her sweet little “Blue Jean Baby”.